There’s been a lot of thought-provoking discussion in the last year or so of how we can ‘do development’ better. 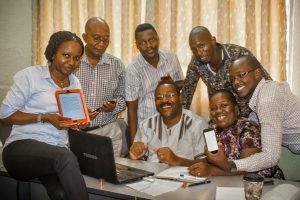 Capacity building, systems thinking and complexity, power and politics, convening and brokering – all of these have become increasingly popular themes across the development sector, and in the smaller ‘research for development’ corner. In the last 12 months we’ve also been doing some serious thinking at INASP about how we can better deliver on our mission to ‘put research at the heart of development’ and the themes above felt particularly relevant. We work in three broad areas: access to research literature, producing and communicating southern research, and supporting the use of research in policy making across 23 countries. But we’re a small NGO, working in a big field, so we do so with a good dose of humility. We wanted to write this post to discuss our approach to capacity building in light of the ongoing conversations on systems, complexity and change. While we work with researchers (and while some of us used to be researchers), we aren’t a research organisation. Our perspective is that of an organisation trying to understand what some of these ideas actually mean in practice and how they fit with what we’re learning as we make some shifts in our own approach. A few months ago ITAD offered the idea of ‘capacity development 2’ to describe the way some of these and other ideas were coming together. Some of their comments were familiar to us and it seems like a good opportunity to talk about how far we’ve got with our thinking and how it has affected our approach to capacity building. A lot of the debates we mention above, and our own thoughts, focus on how to build long term capacity in a manner that recognises the many ways that individuals – and the organisations to which they belong – interact. This can sometimes get lost when we talk too vaguely about the ‘research system or the ‘research environment’. Firstly, we take a national approach in our work, so this means supporting the formal national research system of universities, research institutes, funding agencies, science and education ministries, and the people and policies that run and govern them, including those that use their research. This involves supporting, to varying degrees, the ‘doing’ and ‘production’ of research – through access to the latest international literature, training in scientific writing and journal editing; to supporting the use of research in decision making through working with intermediary and policymaking organisations. But we also talk about systems in what you could call an ‘ecosystem’ sense (although this borrowing of biological language isn’t always popular), to talk about the myriad, and often informal ways in which institutions, people, and power connect to produce particular effects. You could call this the research environment. While we take a national lens to our work, we’re very aware that science is global, and that researchers and institutions need to create links across national boundaries if they are to grow and sustain their research. The national level approach nevertheless allows us to identify and support some of the things that countries need if they are to play their part in this global system. What’s led us towards a systems approach? In his ‘Complexity 101’ blog post, Harry Jones offers three characteristics of complex problems – (1) that capacity is distributed; (2) that the interests of different people within the system are divergent (and thus conflicting); and (3) that paths towards change are uncertain. Much of our work exhibits one or all of these characteristics. In particular, we work on a daily basis with many different people within the research system who are working to different goals. For example, researchers may be driven more by personal career objectives, rather than institutional or national development needs, as they choose what to research and where to publish this; government may develop policies which protect particular interests, but which may be at odds with the best available evidence; and university leaders – as those across the world – may be influenced by international league tables, but chasing these rankings may be at odds with what’s needed to strengthen research and teaching in support of national development needs. The decision to place a greater emphasis on national ‘systems’ and to try and tackle some of these issues emerged from reflections on our last programme, the Programme for the Enhancement of Research Information (PERii) and the external evaluation commissioned from ITAD. PERii achieved some notable successes, working in over 20 countries to strengthen research capacity, but as the review noted, we were often missing the links between different parts of the system at a national level, and this was limiting what we could achieve. Much of our work continues to focus on building the capacity of individuals; skills training and mentoring play an important part in this. We believe that training people is still really important but we know that this alone isn’t sufficient to achieve lasting results. We’ve been conscious for some time that if we and our partners are to genuinely build and strengthen capacity, we need to be thinking about how individuals are enabled – or not – by the broader environment for research, and how they work together, within and across departments and institutions. We’re thinking more about how to support organisational development as a result. What does the research system look like? We’re working within a system that is supposed to interact with other institutions and actors – funders, government policy, internal and external incentives but which is, of course, also prone to changes within. To even begin to contemplate a systems approach to our work we had to first have a basic understanding of what this system looked like at a national level. Most importantly we had to start by acknowledging that while a national level research system may have many of the components we’re familiar with from our own work and experiences in the UK (researchers, universities, government departments with various mandates to use research, academic publishers etc. ), we could and should not expect them to interact in the ways we’re used; just because a system looks similar, it doesn’t mean it works in the same way. We’ll follow this post in a week or so to talk about how we have started to map and understand the systems we work in and how that is enabling us to maximise our relatively small role within that context. Thanks for posting this. Great to hear details of your new approach – very much welcomed. Does this mean that funders, government policy are outside of the system? You’ve described them as “other…” and compared with changes “within”? I ask because (although a bit technical) I think it’s important. I’d put [national] funders, government policy etc as firmly inside the system you should be thinking about. I think these things are crucial to how effective capacity building interventions are. I don’t know whether this is just a language thing – I’d propose you’ve got to think about changes within individual building blocks of the system, and in the way the bits of the system work together – if that’s what you mean? Very much look forward to the “So what?” part of the taking a systems approach discussion! Also, my colleague Jamie is going to comment tomorrow on the complexity-science related bits…. Thanks Ian, it’s a good point, and something we could usefully clarify. As we say above, we’re still figuring out some of this. To me it feels like there are probably ‘rings’ within a system, maybe inner and outer, maybe more levels than that. So I was thinking that when we define a national research system, there are government departments which obviously fall within it (the ministry of education, or of science and technology, for example) but there might be other ministries which come in on certain issues (agriculture, or health) and then some ministries which rarely interact, but do on very specific areas of research or parts of the higher education system (say transport). And you’re right that funders are important parts of research systems, but how broad can be practically go? We can talk about funders of research within the country, and that feels manageable. But of course a big funder like NIH or the UK research councils, or bilaterals can also play a role. And HE/research in the countries we work in will also be influenced or informed by shifts in HE/research in the UK or US – eg it’ll influence possibilities for collaboration, or modes of publication (eg the emphasis on OA in current UK policy). So I guess my question is how far and how wide do we need to (or can we practically) draw our system? Is it inner and outer rings, or is it one system interacting with another? We need to draw some working boundaries so it’s not all expansive and all encompassing, and too hard to grapple with. I agree with Jon about immediate versus extended system (the rings are a good metaphor). My understanding is that we are thinking of the immediate system as those that produce research (researchers, universities, academic societies etc.) and the immediate outer ring will be those that influence that system directly but still operate nationally (government departments and policies, national funders and research councils etc.). Stretching the metaphor you could imagine a third ring (foreign donors, regional/international research agendas and regional centres of excellence). Each of the institutions in these rings can be big parts of small systems (national research systems) or small parts of larger systems (regional/international research systems). Thanks guys – that does address exactly what I was trying to get at. I like the rings metaphor too – a helpful (if crude) way of thinking about things. I’m thinking of some kind of Venn-type diagram that gets at the fact that relatively separate systems do interact in certain ways (side by side circles), but also that some systems are part of other bigger systems (concentric circles) too. Time for a Kirsty-style paint attempt I feel. I personally don’t think getting too hung up on exactly what’s in and out of a given system is important here. But thinking about them as concentric circles does force you to think about what’s on the edge of or outside of your sphere of control or influence that might have a bearing on your outcome nonetheless. “Boundary partners” if you like, to nick a phrase from outcome mapping. Also – it makes me think of the physics ‘moments’ idea – that potentially a small change somewhere further from the fulcrum could have a big impact in the system you’re operating in. So – a REF-type system in the countries you’re working in would arguably do more for uptake than many capacity building interventions. This is not to do them down, but to raise the question whether advocating with government for a REF-type system is a worthwhile activity…? I’ll stop there as I’m rambling. Does it make sense? Thanks Ian, when we come to illustrating this approach we should give you a call. On the REF-type system, I can see how it could be a catalyst for research production and to a certain extent research uptake. I would be a bit cautious because a REF style system requires a lot of other things to be in place, not least a minimum number of competitive research institutions, availability of review expertise and sustainable funding for research etc. That being said I can see the impact of something like that in driving research towards strategic national priorities. Really like your post, and thanks for the invitation to comment! I’m no complexity expert (though complexity thinking would tell us to be wary of “experts”…) and we’re only just starting to think about complexity science’s implications for cross-disciplinary international development research at UKCDS. Capacity strengthening programmes as you acknowledge are some of the most unpredictable and complex development initiatives. What I find interesting is, firstly, how far INASP has already been using complex/ecosystem/problem-driven iterative adaptation approaches before their recent explosion onto the international development scene; and secondly whether formal decisions were taken to embrace these kinds of thinking, or whether they have emerged more organically out of the complexities of trying to promote system-wide change. And if you intuitively grasp the complexity of capacity building and the need for programmes to be flexible, holistic and adaptive, then the question is: what precisely can conscious use of the formal tools of complexity or systems thinking add? I think there’s still a lot of thinking to be done on how appreciating the importance of complexity and systems science can translate into practical steps for improving development programme management in the face of real-world complexity. Ben Ramalingam has been undertaking exciting work with DFID on building insights from complex systems research into programme management (http://oxfamblogs.org/fp2p/can-complex-systems-thinking-provide-useful-tools-for-aid-workers-draft-paper-on-some-dfid-pilot-experiments-for-your-comments/). 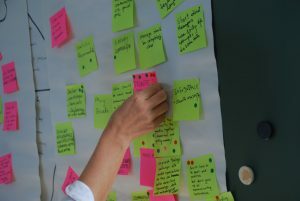 UKCDS is aiming to carry out an exercise along similar lines over the next few months, thinking about a potential set of principles for commissioning development research which responds to complex, cross-cutting development challenges and how complex systems research could improve interdisciplinary working. We hope to get as much input as possible from the development research community, so once you’ve done the mapping of the systems you work in it would be great to chat more and learn from INASP’s experience! Thanks for your comments and excellent question Jamie. I think as an organisation we have long recognised the need to support multiple aspects of what we termed the research communication cycle however this was not couched in the language of complexity. We also faced the scale versus depth problem due to the number of countries we work with. As we take more of a national approach to our work the formal mapping of links and relationships helps provide structure and coherence to what we do. We are very much a ‘doing’ organisation so we are not going to suddenly decide to do nothing till we have carried out a comprehensive network analysis of country X. However we are taking a more ‘inspired by’ approach, trying to ensure we have the relevant level of analysis to give us confidence in what we do and in how that fits with/complements what others are doing nationally. Do let us know when you start work on the principles for commissioning research, we’ll happily share our experience and thinking so far. Hi Alex, thanks very much for your response! It would be really interesting to chat relatively soon as we start our work on the principles – perhaps in early June if you have time? I feel you’ve captured an important tension: using formal complexity science and trying to analyse exactly who fits where in the system and networks is a huge undertaking for development programmes. And taking too much time to try and unravel all the complex variables at a specific point in time can potentially run counter to the embracing of flexibility, adaptation and change which complexity thinking encourages. As you say, I think being inspired by and attuned to the research system’s complexity is preferable to ending up in a kind of “analysis paralysis”. Am always aware it’s hard to write about complexity without becoming woefully abstract… so it would be great to chat in more detail when you get a chance! I think that regional institutions have a key role to play in the research system, especially in the context of eastern Africa. These regional institutions also have strong capacity development components, both individual as well as institutional capacity. Regional centres of excellence in research can help to create and strengthen partnerships across national boundaries. 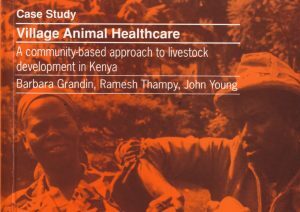 An example is the Biosciences eastern and central Africa Hub which is hosted at the International Livestock Research Institute in Nairobi. 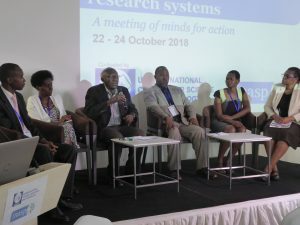 Another important regional research organization is the Association for Strengthening Agricultural Research in Eastern and Central Africa (ASARECA) which has several sector-based agricultural programs that inform both national and regional agricultural policy. Thanks for your comment Tezira, regional centres of excellence are important parts of both the national research system (in the countries they are based) and of course the wider region. The distinctions are somewhat artificial and allow us to conceptualise our thinking (as Jon says above they are working boundaries). As more resources are put into setting up regional centres their importance will only grow and it will be interesting to see their impact on national research capacity outside of the host country.